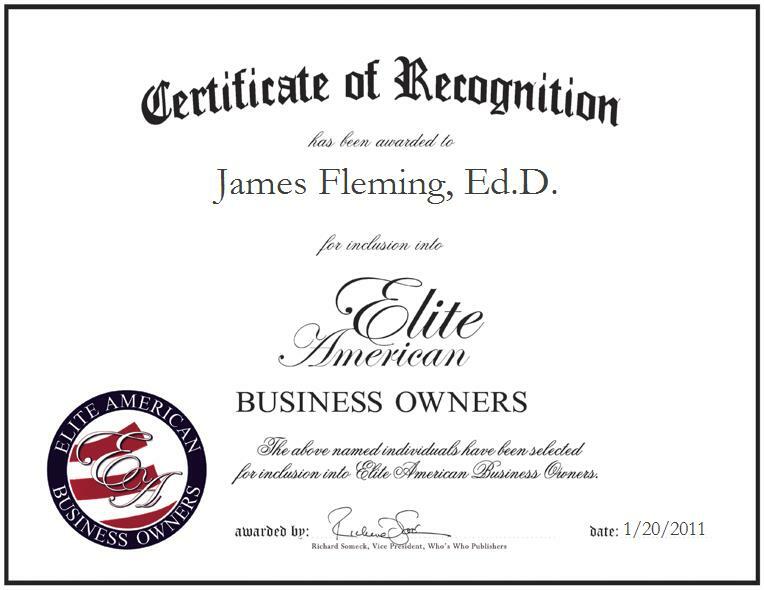 LaGrange, Georgia, January 20, 2011, James Fleming, Chief Executive Officer of the Explorations in Antiquity Center, has been recognized by Elite American Business Owners for dedication, achievements, and leadership in the history and archeology of the biblical studies of the New Testament. Piloted by a strong interest in ancient history and biblical studies, Dr. Fleming established the Explorations in Antiquity Center five years ago. The educational museum provides its visitors with archaeological replicas of history, biblical meal presentations, and insightful lectures supported by the research Dr. Fleming has done himself. Drawing on 38 years of combined professional experience, Dr. Fleming teaches classes, trains Israeli Jews and Arabs to be tour guides, and conducts pertinent programs and conferences. His most substantial accomplishment to date has been spearheading and originating archaeological tours in Israel and the United States. Dr. Fleming holds a Doctor of Education in philosophy of education, which he retained from the Southwestern Baptist Theological Seminary in Texas in 1973. Likewise, he has completed coursework in biblical archeology and theology from the Hebrew University of Jerusalem, and the New York Theological Seminary. In the future, Dr. Fleming intends to travel less, write more, and continue to enlighten people about ancient history and biblical studies. Likewise, he hopes to continue serving as an advisory member of the Biblical Archeology Review Board and a member of the Galilean Resort & Campus. For more information about the Explorations in Antiquity Center, please visit http://www.explorationsinantiquity.net.